Fluidized Bed Dryer involves drying, cooling of materials. Ideal for both heat and non-heat sensitive products. Uniform processing conditions achieved by passing gas (usually air) through a product layer under controlled velocity conditions to create a fluidized state. 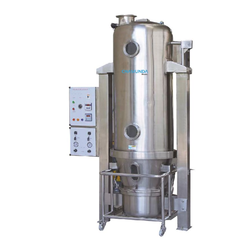 Looking for Fluidized Bed Dryer ?